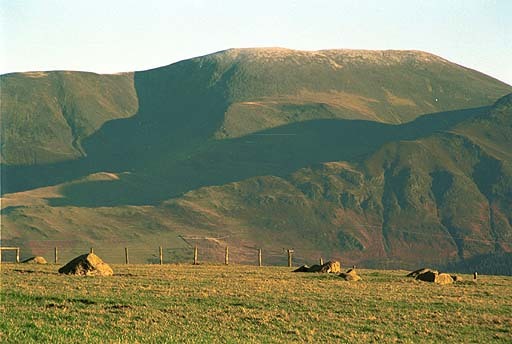 Elva Plain Stone Circle lies on the southern slope of Elva Hill. 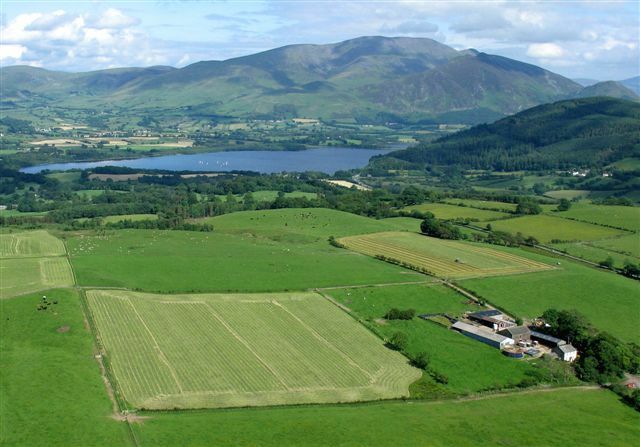 From here the view to the east is dominated by Skiddaw, across Bassenthwaite Lake. Situated on a level terrace on a hillside, the 15 stones, of which the tallest is just under one metre, form an almost perfect circle some 40 metres in diameter. Only 15 stones of the original 30 remain. Looking towards Bassenthwaite Lake and Skiddaw. 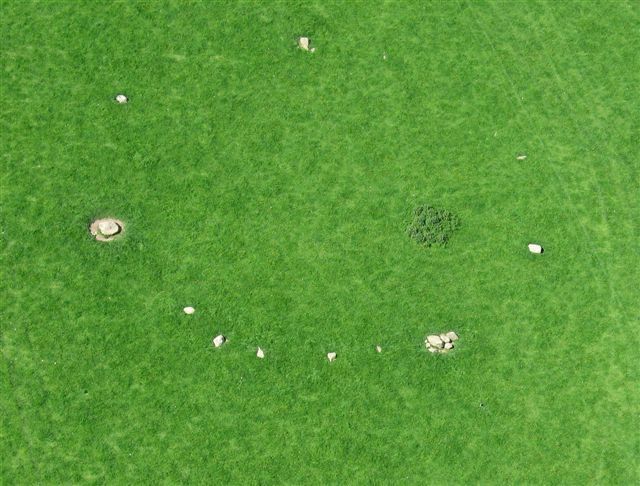 The stone circle is in the centre of the picture.